Microfiber is durable, but it must be cleaned with gentle or natural cleansers to prevent the permanent damage that some cleaning solutions can cause. Natural cleansers, such as baking soda, also eliminate the dangers that some chemicals pose to you, your children and your pets. Use baking soda to clean and deodorize microfiber safely, effectively and inexpensively. 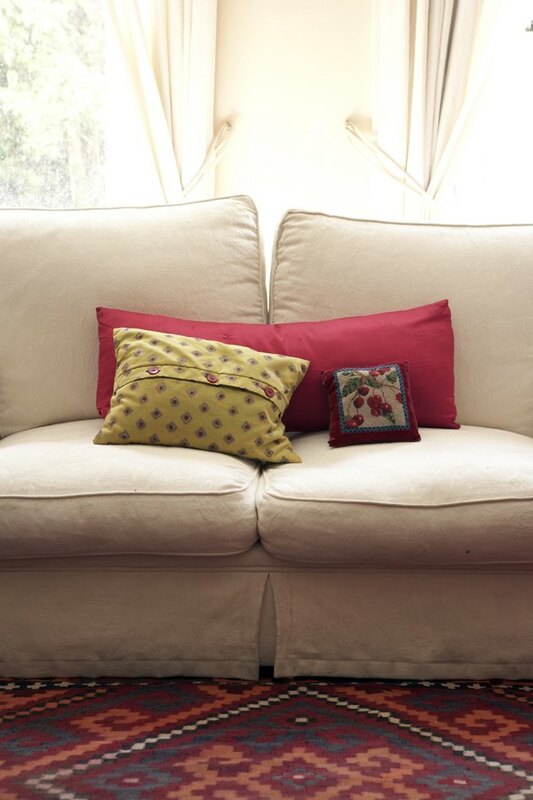 Clean and freshen your microfiber couch with baking soda. Mix equal parts baking soda and water together in a small bowl to make a paste. Apply the paste to the small soiled area, and brush it lightly with a soft scrub brush. Allow the paste to dry completely, and then vacuum it away. Sprinkle dry baking soda over the entire couch. Brush the baking soda into the microfiber with a soft scrub brush. This allows the baking soda to reach deeper into the microfiber. Leave the baking soda on the couch for 1 hour. Vacuum the couch to remove the baking soda and the odors it absorbed.